You are an affiliate because you love ConvertKit, and believe in it’s value. We provide a commission as a way to say “Thanks!” for all that you do. Here is everything you need to know about earning commissions, and receiving that sweet payout. 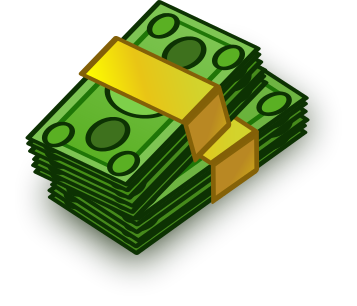 As an Affiliate, you can only receive payouts through PayPal. You will want to set up your PayPal account, in Ambassador, by inserting your PayPal email address into the account settings. Once you’ve done this, you’re all set! Get ready for those direct deposits! Affiliate commissions are approved on a monthly basis, on the first day of the month. There is a minimum delay of 30 days before approving pending commissions. (This is to account for any refunds since we have a 30 day, no questions asked, refund policy). Depending on when a commission is earned in a month, it can be pending for up to 60 days. For example, if you earned a commission on August 5th, it along with all August commissions, would be approved and paid on Oct 1 (creating a 55 day delay). If you earned a commission on Aug 30, it would also get approved and paid on Oct 1 (creating a 30 day delay). Is There A Commissions Threshold? While there used to be a minimum payment of $100, we decided no more! This means, if you have commissions approved, you will receive a payment! Not sure if these reasons apply? Reach out and ask! We'd love to help. Why Were My Commissions Denied? We made a mistake! If this happens, we will contact Ambassador, and ask them to correct the payment status to Approved.